WordPress 5.0 is here finally! 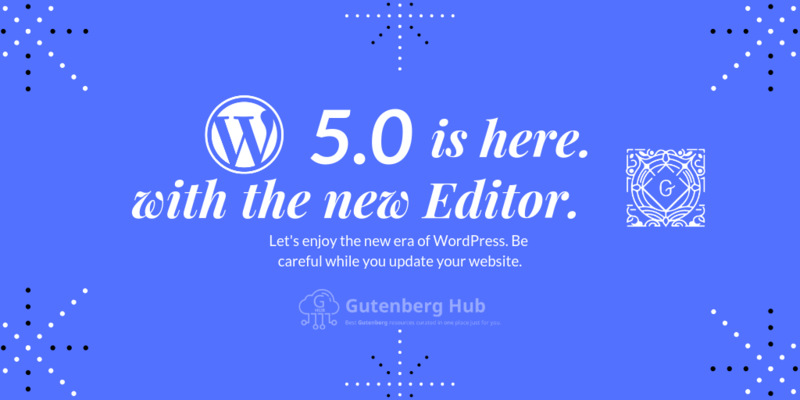 And here comes the most awaited WordPress update v5.0. Here begins the new era of WordPress. Enjoy the new Block editor codenamed Gutenberg. Wait for the Official announcement for more details. WordPress 5.0 “Bebo” has been released. Get to know what it offers.